An ever growing number of countries around the world are now requesting proof of onward travel for all visitors entering their borders by land, sea or air. This poses an obvious problem for spontaneous travellers, gap years and backpackers everywhere. We been asked these question dozens of times by email and trust us, the conundrum baffled us for our first few years on the road. Luckily there are a few solutions, one of which we’ve used many times with no issues whatsoever. 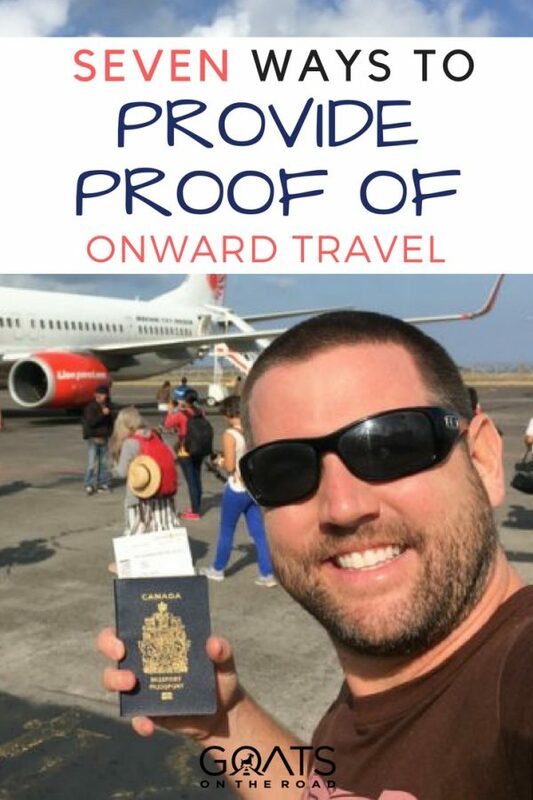 In this article I’m going to list our 7 best ways to provide proof of onward travel, putting to rest this issue once and for all and allowing all of you to enter countries without losing money and without getting deported for not having proof of exit. 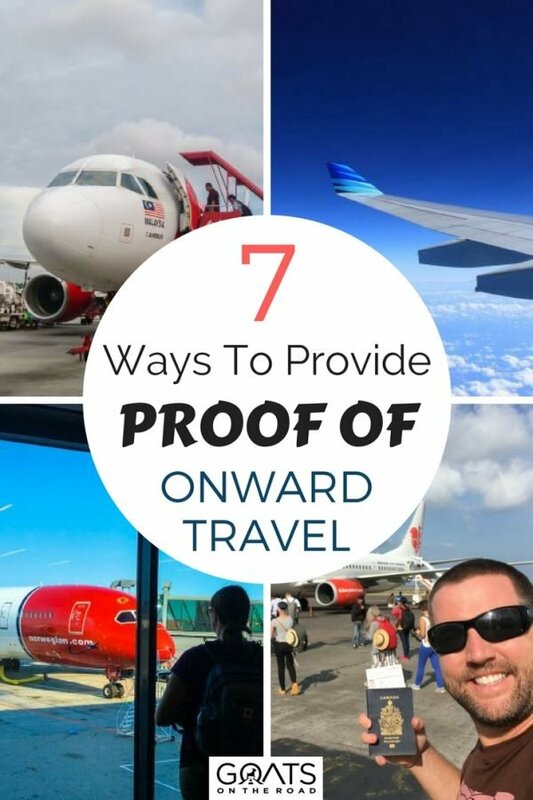 Let’s start with explaining exactly what proof of onward travel is. Basically, countries (including visa free countries, visa on arrival and places where you ned to obtain a visa beforehand) have implemented these laws to try to prevent people from visiting their country on a tourist visa and never leaving. They want you to prove that you have means to exit the country at the end of your visa. Some countries (like Thailand) have even taken these precautions a step further and are now asking visitors to show cash in hand ($400 USD or more) in order to prove means to travel and to exit the country at the end of the visa period. These laws are in place to avoid illegal immigration. Of course, most backpackers, digital nomads and travellers aren’t really looking to immigrate full-time into these countries, they’re simply looking to stay for a few weeks and then move on. Proof of onward travel is typically shown in the form of a booked flight itinerary from the country you’re visiting to another country. It doesn’t have to be back to your homeland, simply a ticket out of country. You can also use bus tickets, train tickets, ferry tickets etc., but these are less common as they are harder to book online before arrival, plus they are not always accepted by immigration. If travellers arrive by their own boat (ie: on a yacht or sailboat), they are usually exempt from this law as they already have means to exit via their own vessel. Believe it or not, there are only a few countries that actually state requirement of onward travel in their immigration laws. These countries include (but may not be limited to) Peru, New Zealand, United Kingdom, United States, Philippines, Indonesia, and Brazil. Before you get too excited thinking that your destination won’t ask for onward travel, just know that even though it’s not in their laws, they probably will. 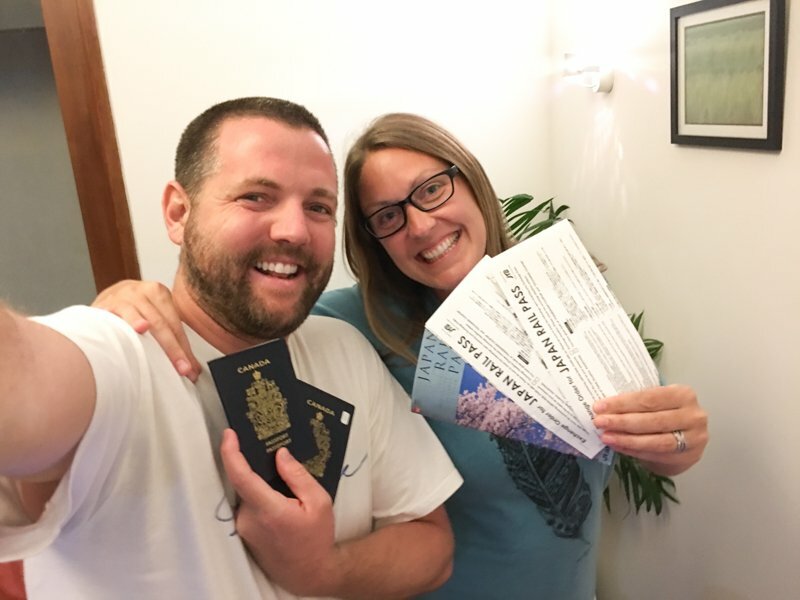 As a precaution, Dariece and I always book proof of onward travel before travelling to any country and we think all travellers should do the same. We’ve made the mistake before of thinking that the country wouldn’t ask, and then when we arrived at the airport, the airline denied us boarding the flight because we didn’t have proof of onward travel. This forced us to rush and book a ticket last minute, while searching from spotty wifi in the airport. Why did this happen to us? Because in most cases these days, the buck has been passed onto the airlines and they’re extra careful, so they ask everyone for proper onward travel documentation. In recent years, most countries have passed the responsibility onto the airlines entering their country to enforce these laws. That means that before you board your flight, the airline will ask for proof of an onward ticket. If the airline were to forget to ask you and then you arrive in a country where they require an exit flight, you could be potentially deported at your expense. The airlines – in an attempt to avoid any liability for such a incident – will instead check you before boarding nearly every time. Of course, sometimes you can slip through the cracks of the airline and these days, because so much of the responsibility of this law is on the shoulders of check-in staff, if you get on your flight, it’s unlikely that immigration in your destination country will check for an exit ticket. That doesn’t mean that you should risk it, and because some of the hacks in this post will be zero risk and cost $0, it’s worth simply booking a ticket for your own security and peace of mind. 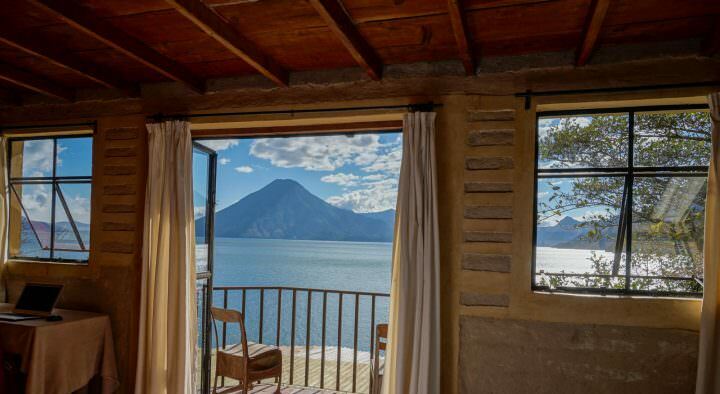 Anyone who has started booking a spontaneous, multi-country trip with no defined return date will have likely run into the issue of proving onward travel. In most cases, they realize the requirement before entering the countries and have to rush to book an onward flight, and in some unfortunate cases, they actually arrive in the country only to be turned back by immigration, forced to fly out of the country on their own dime. Onward flight requirements could be crippling for spontaneous or long-term travel, but they don’t have to be. There’s nothing you can do about the immigration laws, but there are ways to legally provide the proof needed. Despite the fact that backpackers, digital nomads and long-term travellers all disapprove of these laws, they do have their warrent. As travel becomes more mainstream, there are an increasing number of people who decide to travel the world without the means to do so. Although we’re all for travelling at all costs, when a lack of funds leads to overstaying visas illegally, working illegally or begging on the streets to pay for travel, this poses a problem for local communities and the economy. These laws exist to ensure that people have means to travel in and out of the countries they visit. 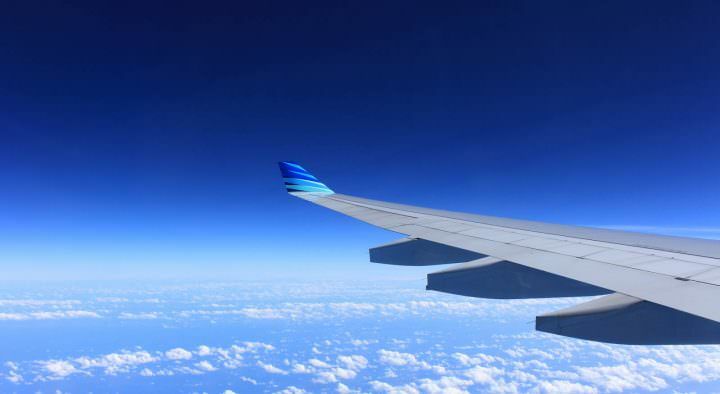 While we do recommend booking a refundable flight in this post, we do not recommend doing so if you can’t afford the flight in the first place, or if you can’t afford to exit at the time you’re meant to leave the country. Backpackers and travellers have an obligation to be respectful of local laws, customs and authorities and you should never enter a country if you don’t have the funds to pay for your flight out. If you find yourself without money, it’s best to go home, save more money and then continue travelling when you have the cash to do so. For those of us who have saved enough to travel in and out of a country, the onward ticket is simply a technicality that requires appropriate documentation presented to immigration officers upon arrival. 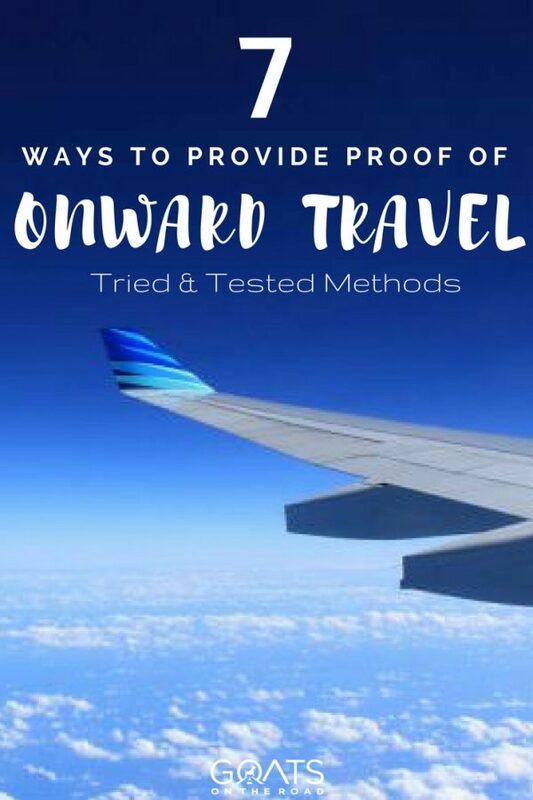 In this post, we will list these methods, as well as those you shouldn’t use in order to provide proof of onward travel. Finally we’re getting to the good stuff. 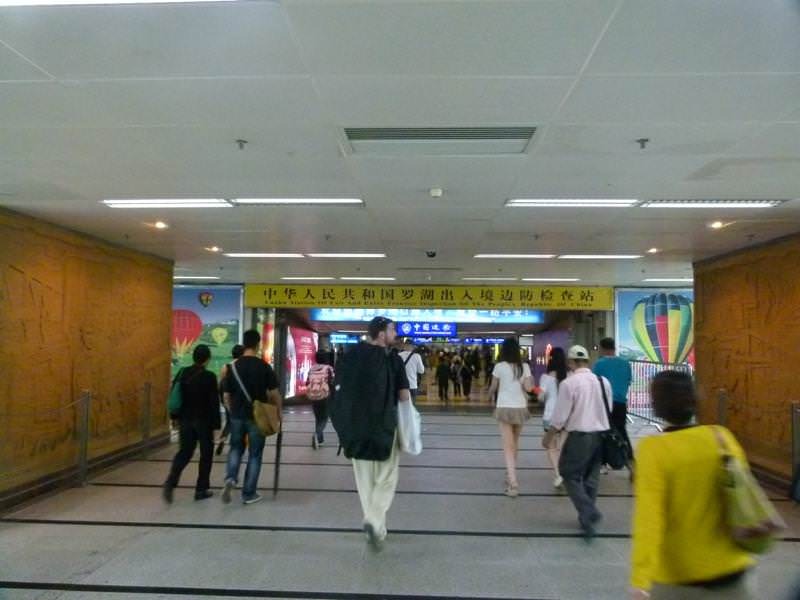 There are plenty of ways to provide proof of onward travel. Some are more legitimate and secure than others. 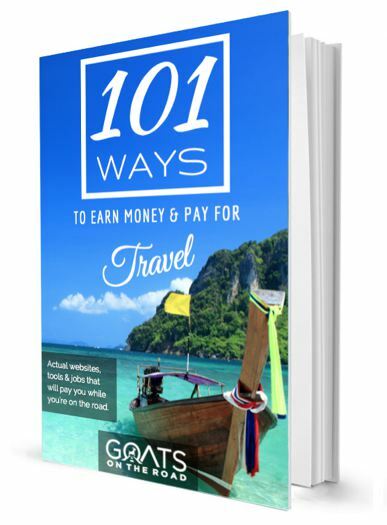 We’ll start with our absolute favorite way, that has saved us countless headaches and has never steered us wrong, and then we’ll move down the list to other ways that you can use to prove onward travel. This is the absolute best way to provide proof of onward travel for any flight journey. If, like us, you choose to book with Expedia, you’ll have to use Expedia.com (not .co, .uk, .ca etc.) because Expedia.com is the only version of the site that has the 24 hour refund policy. In our experience, about 95% of flights on Expedia.com offer free cancellation for 24 hours. There are some airlines that refuse to offer these refunds (like AirAsia), but seeing as you’re not actually taking the flight and you get 100% of your money back, there’s no point worrying about price, or what airline you’re flying with. Just make sure you book the onward flight within the expiry of your visa or entry permit that you’ll receive in your destination country (ie: most entry permits and visas are for 30 days, if you book a flight 31 days after arrival in the country, it would be invalid). Whenever we’ve booked and cancelled a flight on Expedia.com it usually hasn’t even shown up on our credit card statement. The flight is simply refunded before the charge ever comes through. The refund is always for 100% of the cost of the flight, so we have never lost a penny. Before I get into this method of proving onward travel, I should mention that it is completely legitimate and not illegal or immoral in any way. In the past, when travel agents were more frequently used, this is exactly what they would do for their clients who were travelling on one-way tickets into countries that require onward travel. Travel agents would (and still do) book a refundable ticket, or print out a pre-booked flight itinerary and hand it to their customers for $20 or more. This is still a valid way to provide proof and I’ll write about it more in-depth below, but now that flight booking engines are the new travel agents, and they offer this for free, I don’t see the point in going into an agency and paying for it. Here’s how it works. Before heading to the airport on the day of your flight, go to Expedia.com and search for a flight from your destination to another country. In the example below, I’m flying into Bali, Indonesia (an airport that requires onward flights by law), and I’ve searched for a flight to Singapore. 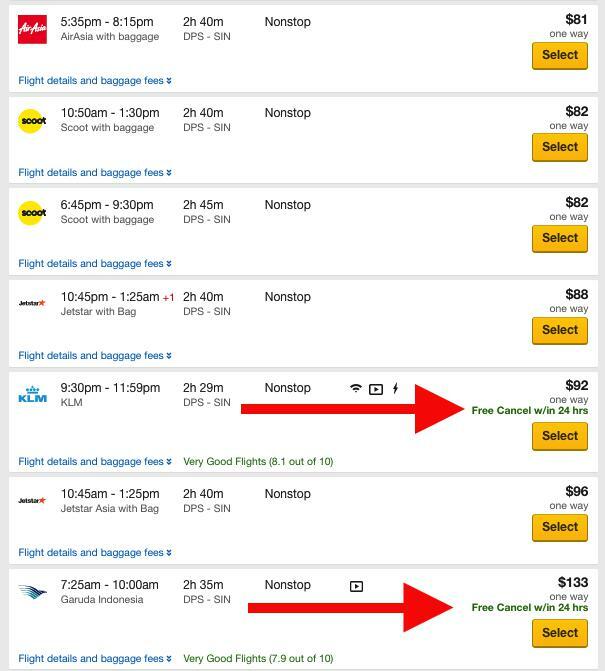 As you can see from the screenshot above, not all airlines on Expedia offer free cancellation within 24 hours. This is especially true in Asia and Europe where there are many low-cost carriers that refuse to offer refunds. Save your friends from onward ticket costs & deportation! Share this post on your social accounts and pay it forward. That’s okay, because there are two flights here that do offer free cancellation. Simply book one of those flights and wait for the confirmation email and e-ticket from Expedia. Once you have that, print it out or save a screenshot of it on your phone. 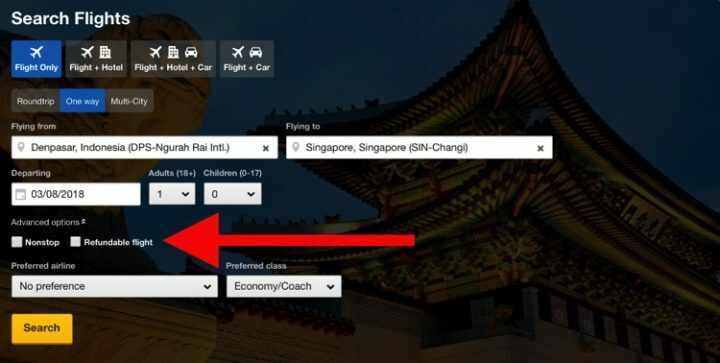 You can make this step even easier by ticking the “Refundable Flights’ check-box in the search box to only show flights that offer 24 hour or better cancellation. We Aren’t Sponsored By Expedia: It’s worth mentioning here that we’re not sponsored by or endorsed by Expedia in any way. In fact, there are other booking engines like Orbitz that offer free 24 hour cancellation. Also, ALL major US airlines are required by law to offer a refund within one day. If you’re booking with a US airline, you can be sure that you’ll get a full refund in 24 hours and many offer even longer refund policies (check with the airline to be certain). We chose to write about Expedia because they are the only flight booking engine that we trust 100% and we’ve used them for onward travel proof countless times. We were once stuck in an airport when told we were unable to board a flight (not for a lack of onward travel documentation) and when we called Expedia customer support, they called the airline manager at the airport directly and got us on the flight. For this reason (and many others) we recommend and only book with Expedia. Very rarely, airlines will charge a “Booking Fee” on Expedia. These fees are usually around $15 and wouldn’t be refundable with the rest of your flight ticket. We’ve booked nearly a hundred flights on Expedia and have only come across a booking fee once, but it’s worth looking for. If you select a flight and see a booking fee on the Expedia trip summary page, don’t book it. Go back to the search results page and choose a flight with 24 hour cancellation from a different airline. Before booking and paying for your refundable flight you should be certain of two things, Expedia says “Free Cancel w/in 24 hrs” and the booking fee says “$0” in the trip summary like in the image below. After booking your flight, you will recieve an email from Expedia with your flight ticket, at which time you have two options. You can simply print and then cancel this ticket with one click in your Expedia account and get a full refund immediately, or you can wait until you get through immigration at your final destination and cancel it for a full refund then (as long as you arrive before the 24 hours is up). The latter is the better option in the off chance that the airline or immigration actually checks the flight manifest to ensure you’re booked on the flight or asks you outright. This is very unlikely and as Dariece and I have both used this for proof dozens of times and never had an issue, I’d argue that it won’t happen. 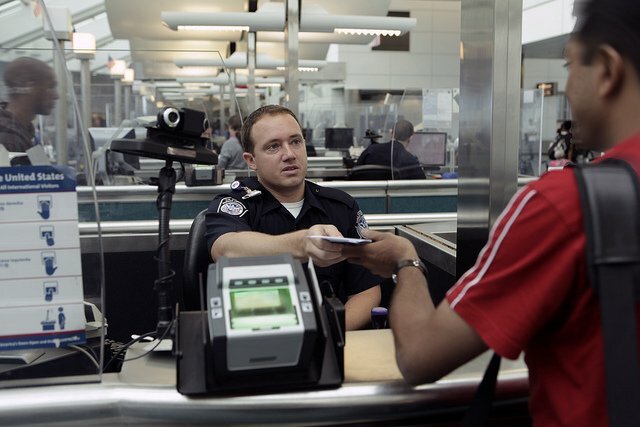 You never want to lie to an immigration officer, so if you can, try to cancel your flight only after arriving at your destination and making it through immigration. That way your documentation is valid and you are truthful upon entering the country. Note: If you’ve cancelled your onward flight before boarding your flight into the country, try to book the onward ticket with a different airline than the one you’re flying with. 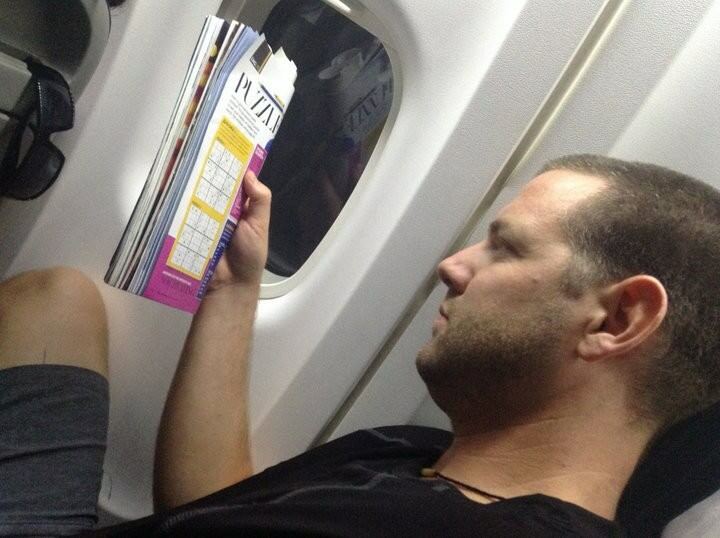 It’s much easier for airline staff to search their own system to ensure you’re still booked on the flight. Dariece and I have both booked onward travel with the same airline and they’ve never checked us, but it could be an added precaution. To be extra careful, we do recommend calling Expedia before booking a refundable ticket, just to make 100% sure that the ticket will be fully refunded. In our experience, the wait times are less than 5 minutes and they have a toll free number (1-800-319-4834). Because this method is so fool proof and easy to do, I could stop this article right here. But sometimes there are destinations that simply don’t have 24 hour refundable flights on Expedia (none that we’ve ever come across), and sometimes people are unwilling to book and cancel a flight. If you find yourself in this predicament, then it would be wise to save more money before heading into the country. These laws (although annoying for travellers) do have their merit. There are some people who travel into countries without the means to do so, and they end up staying longer than they should, illegally working, or worse, begging for money in order to pay for onward travel. This is when the lawmakers are justified in creating such regulations and if you find yourself travelling without enough money to pay for onward tickets – whether it be by air, land or sea – you should consider waiting until you have enough money for your entire trip. Oftentimes, rewards flights have better cancellation policies than normally booked flights and you can usually get a refund of your points instantly. You can often call your reward credit card provider to book a refundable ticket for you. For example, we use the TD Canada Trust First Class Infinite Visa which has a partnership with Expedia. This means that I can redeem my credit card points through Expedia. If you wanted to, you could simply call Expedia for TD (or your own points provider) and ask them to book you a refundable ticket with your points. You could then easily cancel that flight within the given timeframe (sometimes longer than 24 hours) to receive a full refund of your points, immediately. Many rewards credit cards are attached to similar rewards flight search engines and come with telephone travel agents who can help you ensure you’ll get a full refund. This method works very much the same as booking a normal refundable ticket on Expedia. You’ll have to book the flight, print out the confirmation e-ticket and then cancel the flight (preferably after landing in the destination country and making it through immigration). For travel hackers, this method may be better than the Expedia method because you don’t have to put up any money to begin with, the cancellation policies may be better and the points are usually refunded instantly. There are plenty of services out there that allow you to rent a ticket, but not all are created equal. After writing this post we had a few comments (see below) telling tales of poor services that didn’t deliver on their promise for a proper onward ticket. It’s definitely best to check reviews and make sure you’re getting a legitimate company. In particular, the company FlyOnward consistently gets terrible reviews so please beware of them. After checking a few reviews (full disclosure, we haven’t used these services), we found that there are a couple that stand out. One Way Fly gets good reviews on Avis Verifies and they have a nice, easy to navigate website. They can book you your onward ticket legally for a small fee that will save you having to pay the entire price for the ticket. One could argue that this is the best option for providing proof of onward travel. Other companies like BestOnwardTicket.com have made a business out of providing a service doing pretty much exactly what I explained in the first method in this post. Renting a ticket will save you the time and headache of scrutinizing lengthy terms and conditions pages on airline websites or worrying about actually getting a full refund through the airline, plus you only have to provide your full name (without any passport details). The way it works is the company books a legitimate ticket the day of your flight, sends you the confirmation email to show immigration and then automatically cancels the flight 24 hours later when you’re safely in country and sipping cocktails on the beach. They charge a very reasonable $7.99 for this service and you can extend the cancellation to 48 hours for slightly more. If you don’t want to worry about refunds, cancellation policies or paying for hefty flight tickets upfront, this could be the best option for you. If you can’t find a refundable flight on Expedia, renting a ticket, or you aren’t comfortable booking and cancelling a ticket, you can simply pay for the cheapest onward flight you can find. Before we knew about the Expedia policies, we were forced to book flights out of countries and one time we had to sacrifice the money. On a backpacker’s budget at the time, this was pretty detrimental to our bank accounts and was a complete waste of money. 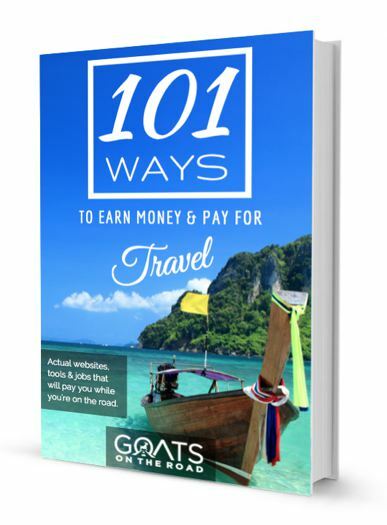 Upon entering Thailand in 2008 when we were embarking on our first ever travel adventure, we were asked for an onward ticket at the Vancouver airport. 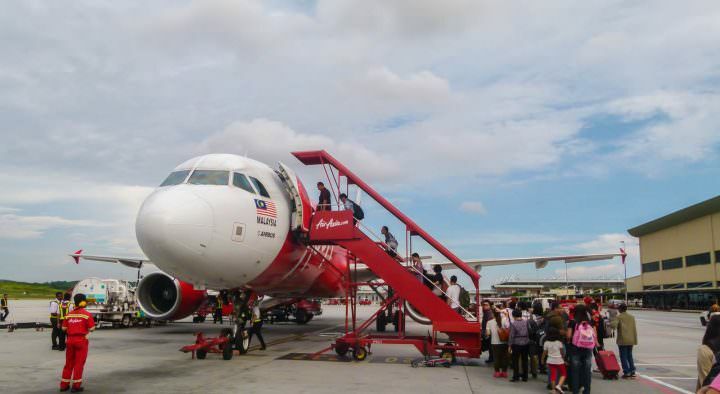 The check-in staff wouldn’t let us board the flight to Bangkok without it, so, we found wifi and booked a flight from Phuket to Singapore with AirAsia. The flights cost us $200 in total, but it was worth it to ensure we were allowed to board our flight and begin our new lives as travellers! If you find yourself in a predicament where you can’t book a refundable flight, you can easily book the cheapest flight you can find and sacrifice the fare in order to enter your country (sometimes partial refunds are available, but last minute you’ll likely lose all of your money). Use Google Flights Map Feature to search multiple airports for the cheapest flight within a given region on the map. Again, this method is completely ethical and legal as it does prove that you have means to exit the country, which is exactly what the immigration laws are requesting. For those old-schoolers who still love their travel agents (nothing wrong with that), you can still request they send you a pre-booked itinerary as proof of onward travel. When booking your entire trip with an agent, they may offer the service for free, but in most cases you’ll have to pay a fee for the print-out. As I mentioned earlier, what they are giving you is very much the same as the refundable flight I explained at the start of this post, but if you feel more comfortable with your travel agent, then all you have to do is tell them that you need proof of an onward ticket and they can help you out. 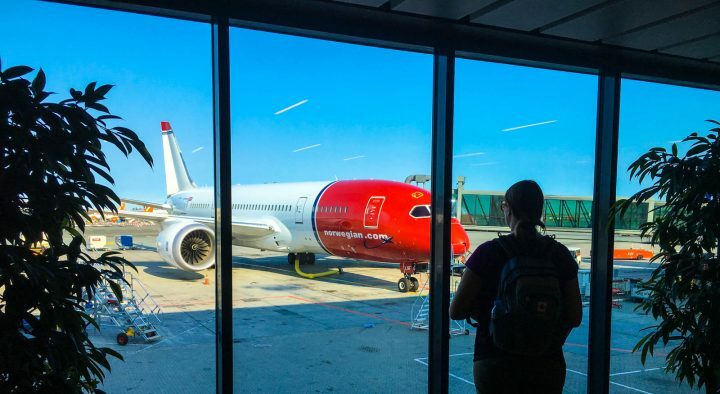 The most risky method of maneuvering the onward travel regulation (aside from the last item in this post) is to arrive at the airport and try to get on the flight, despite not having an onward ticket. I have to be honest, before we really understood the ins and outs of the onward travel laws and before we knew about the practices in this article, we used to just wing it. The issue is, we were told more than once that we weren’t allowed to board our flight and every time we showed up at an airport without an onward ticket, we were risking being deported at our final destination. For these reasons, I wouldn’t recommend “winging it”. 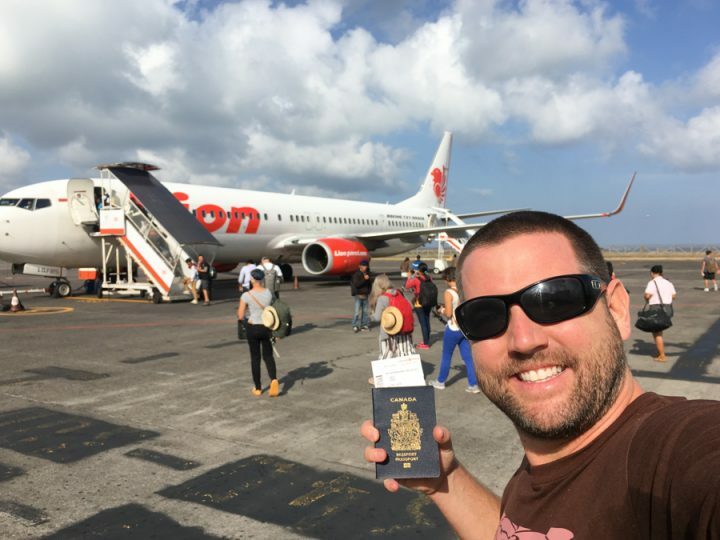 Any time you’re going to any country (yes, even if they don’t technically have the onward travel law), you should travel with proof of an onward flight. As a last ditch effort, if you’re at the airport without an onward flight and the airline check-in staff won’t let you board the flight, you can tell them that you have means to leave the country and plan to do so by land. Ask them if they have a liability waiver you can sign in order to board the flight without valid proof of onward travel. In some cases, the airline will be able to print out a contract for you at the check-in desk that basically says you do have means to leave and they are not liable for you or your travel should you be turned away by immigration at your destination airport. This happened to us when we were flying AirChina from Japan to Mexico. 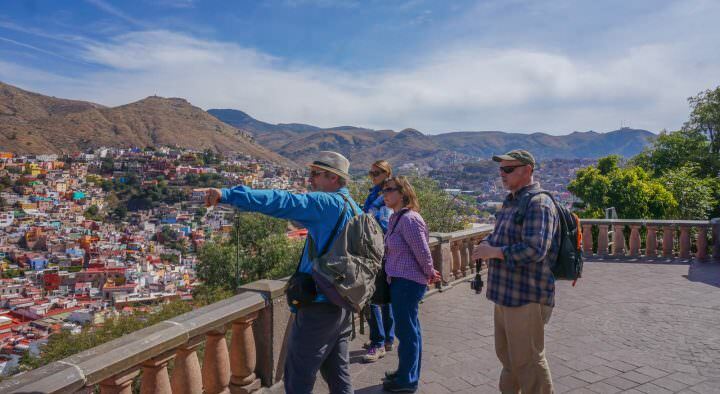 We forgot to book an onward flight out of Mexico (oops). We told the check-in staff (and eventually the airline manager at the airport) that we had means to leave Mexico and in the end, we signed an agreement to that effect and were allowed to board the flight. Not all airlines will allow you to do this and not all circumstances will validate the use of such an agreement, so we don’t recommend this method for everyday use, but if you’re caught in a jam, it’s worth asking. A better option (if available), is to find wifi and book a refundable ticket right there in the airport, then show the check-in staff and cancel the ticket once you’re through immigration on the other side. We’ve done this before and had no issue. If you’ve ever been told by someone to forge a ticket, don’t do it. 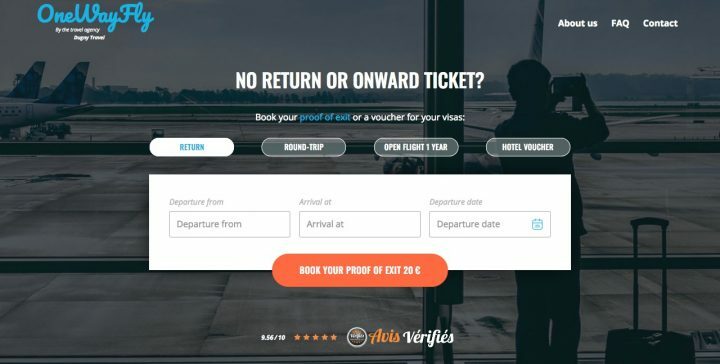 Forgery is usually done by Photoshopping existing flight itineraries, but there are also services like ReturnFlights.net that charge people to do this for them. We DO NOT recommend this method. If you were to forge your ticket and hand it to an immigration officer, you are essentially lying to the immigration officer and thus, breaking the law. Using the other methods in this post, you are not lying to anyone. You are simply providing the documentation they are requesting to see. If an immigration officer ever does ask you “are you still booked to take this flight or did you cancel it?”, then you should of course tell the truth. But an immigration officer will never ask that because it is not required of their job. They are only there to ensure you show them valid documentation for entry, of which an actual flight ticket or pre-booked itinerary constitutes. If you’re handing them a forged document, you are already lying to them and if you verbally confirm that the ticket is valid, you could get yourself in serious trouble if you’re caught. Do not forge documents and never lie to any immigration officers. However you choose to show proof of onward travel, it’s important that you have it in your hand whenever entering ANY country, regardless of their onward travel laws. Think of it as an essential travel item to pack, just like your passport and your wallet. Avoid “winging it” and never lie to immigration officers or forge an itinerary, it’s simply not worth the risk. With so many legitimate ways to provide the proper documentation, there’s no reason to cheat the system. Some might argue that booking and cancelling flights, or renting a ticket is cheating the system, but that is false. Travel agents have been doing this for years and there have been real companies offering legal solutions for this problem since the first country legislated the law. We’ve been asked the (very good) question of onward travel so many times that we thought it was important that we write this article to help travellers navigate these laws legally and safely. We hope that this article has helped to relieve some of the headaches that come with long travel days and grumpy airport staff! If you did find the article useful, please share it so that others can book their onward flights with ease. Thanks for reading! Have you tried FlyOnward recently? I used them several times and recommended them to a number of people, but in the fall of 2017 twice I booked tickets with them, never received the tickets, and they would not respond to emails or contact form submissions so I was never able to get my money back. If they have started supporting the site again, I’d be happy to use them, but that was really frustrating getting left high dry with no proof of onward travel and no response/refund. Hey Mark, I haven’t used them recently, but upon reading another comment on this post, I looked them up and apparently a lot of people have had issues with them now. I have removed them completely from the article. Hopefully BestOnwardFlights is better. Their reviews are much better. Great article Nick. Hadn’t thought about that part of travelling. This article will definetly help us when planning our next trip. Glad you found it useful, Tom! FlyOnward is a scam site now – don’t use them! BestOnwardTicket has an 8.8 rating from trustpilot, so they are still good! Hey James, excellent advice. I did some research into FlyOnward’s current state and it’s looking like they completely lost all their credibility. That’s really too bad. It does look like BestOnwardTicket is still going strong though so I’ve removed FlyOnward. Thanks for your help! We travel via cargo ship/cruise ship to our destinations often. 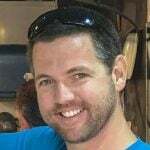 Anyone have an experience where they needed to prove onward travel plans in that type of situation? This year we are taking a cruise that ends in Brazil. We won’t have internet for two days before. We could book a ticket the morning of arrival, but not even sure if anyone will ask. Thoughts? And thanks for the great blog and advice. I’ve enjoyed tremendously. Great post. This post will definitely help me when planning my next trip. Thanks for sharing this one. Might want to add Colombia. We saw that as an issue depending on the border agent. Costa Rica is also one that requires onward travel from our experience. Peru however didn’t ask us for anything regarding onward travel. I guess it depends on the person/border agent. Just thought I would share some of our experiences with borders. Thanks for sharing Brady. That’s good to know for sure – and I think you’re right, sometimes it really depends on the border guard, or airline agent you get! This one is great article. Never planned or thought about these these,your travel planning tips are very useful and i have marked few things from here which i will surely follow up during my next trip. This was just what I was looking for Nick. We are about to leave India for Bangkok and we don’t have any plans for onwards flights. So glad I read this. Being turned away at Delhi with two kids would not be my idea of fun…Thanks! Thanks for sharing Carole. That’s something else to be aware of for sure – airports not having wifi. We always try to book the flights out beforehand. Cheers! Really informative article. Thank you. We haven’t yet needed these tricks but it’ll come when we are leaving from Europe. It sounds just stupid that airlines doesn’t offer legimite and authenticated online form to guarantee that you will leave from the coutry. I guess it would be enough to get them away of responsibilities. #8 Sit on the floor with your laptop in front of checkin and look busy and pitiful. Worked for us the last time we flew into Bangkok. Great tips. Pakistan, Iran and Maldives usually also require proof of onwards travel. Grrrrr! It’s better than FlyOnward (which is a scam actually so you should really remove it). Pingback: There’s nothing like experience – A Cornishman abroad. Great article!! Just a quick questions I hope you guys can answer. Me and my girlfriend are currently in panama city flying to bogota in 2 days. We dont have onward travel planned. Just wondering if there is a particular airline to book with through expedia.com to get a refund? I have been informed that some airlines may still charge a fee for cancelling even within the 24 hour period. Also if we are in panama city and book the flight, take the flight and cancel upon arrival in bogota will It still work fine? Hy , you’re article was interesting ! Let’s say i book a flight with the free cancellation within 24h, what about , the destination a go haves a time difference of +12 hours and you’re flight takes also 12 hours,how does the system calculate the 24h cancellation? Hi Bart, it’s 24 hours from the time of booking. So, book it, print off the confirmation, and then cancel it – but make sure it says “free 24 hour cancellation”. Cheers! Don’t underestimate the grief the airlines can cause you in Thailand. Delta demanded a onward flight reservation from me flying into Thailand from the US. Then Air Asia hassled me flying out of Chiang Mai to Prague via Moscow. Their staff approached me 7 times before my flight wanting to see my onward reservation out of the EU. I learned a lesson, don’t cancel your onward flight until that plane has left the ground. Thank’s for all the informations. Very helpful. Just the phone number of Expedia isn’t working. I booked our tickets with bestonwardticket.com – easy and the service is really helpful. We needed a ticket for us and and our son. So we asked for a booking for all of us for the same destination – 10 min later we got our tickets. Thank’s! Hi ! I was just wondering, what if my flight is more then 24 hours? (My current scenario) Then i couldnt refund my ticket in time before legally entering the country. Any solution? Once you’ve booked a ticket and you have received the confirmation of the actual eticket (usually takes around 15 minutes or so for it to come to your email), then you can cancel that flight. You don’t need to wait until you’re in the actual country. Can’t find free cancel within 24h from Bali, Indonesia on expedia. Some exist on Orbitz but I’ve found things online saying they don’t honour the free cancellation. I’m trying to find a refundable flight between Bangkok and any nearby city. All of the airlines (Thai, Cathay,etc) have refundable tickets but have a cancellation fee. If you check carefully the wording on Expedia it says there are no fees from Expedia itself, but fees from the airline will be passed on. How do I ensure if I need to refund that I won’t get a cancellation fee, even when Expedia says free cancellation within 24 hrs? Virtually all flights from Bangkok with “free cancellation” have a footnote saying “cancellations are permitted, fee may apply”. Thanks. Looks like Emirates offers fully refundable flights. I looked at BKK to HKG. About $350 for a refundable ticket. That’s interesting, I see that flight too. Have you tried it and got a refund? Then when you check the fare rules for Emirates, it says there’s a 2000 THB fee for any refund. That’s what Expedia would pass on to you. The 24 hour cancellation rule applies to US airlines but international airlines are not bound by it. This is great, and exactly the information I needed as we weren’t sure how to tackle the “onward ticket” part of unlimited travel with no set plans. Thanks so much for sharing your insights and experiences! I’ve read that not all countries accept rail/bus tickets as proof of onward travel – have you had any experience with that? Is there a difference between having return air ticket or having onward ticket ? I don’t think this should matter as long as you are able to go out of country without allowed time. Anybody ? Having a return ticket is fine as well. Just wanted to make a comment for people who can fly with either Air Canada or Westjet out of the country they are arriving into that needs proof of onward travel, in my case Barbados. You can buy any ticket with either airline (even a non-refundable Economy Basic fare), and cancel it within 24hrs (Air Canada on their website, Westjet you need to call to cancel) with no fee. After the 24hr period, you can then only refund a fully refundable ticket. I just got off the phone with a Westjet agent who confirmed this info. So if either of these 2 airlines fly out of the country you are visiting, you probably dont need to use a “Rent a Ticket” company, since even a basic economy ticket is fully refundable within 24 hrs. Do you know if receipt of a bus ticket leaving the country is sufficient proof of onward travel? Or if a plane ticket leaving from a neighboring country is sufficient? Specifically, I’ll be flying into Peru and then crossing into Bolivia by bus, continuing to Chile, returning to Peru, and then going to Ecuador all by separate buses (not part of an organized tour). Finally I’ll be flying out of Ecuador. Damn. I hadn’t cried tears of joy reading a blog post… ever? Thank you so much for this post. I was caught off guard last year as we headed out of 7 months of travel. We were flying into Croatia first and the airline demanded proof of exit. Luckily I was able to use the spotty Airport wifi and buy train tickets which I then cancelled, but it was so stressful. This year we are flying into Italy and know we will leave Shenegan countries in 90 days but have no idea where we are going next so I will definitely try either to rent a ticket or buy one and cancel. You’re welcome! The same thing happened to us before we knew about Expedia. We would stress out at the check-in counter with crappy wifi and try to book the cheapest flight we could…and then lose money when we cancelled!